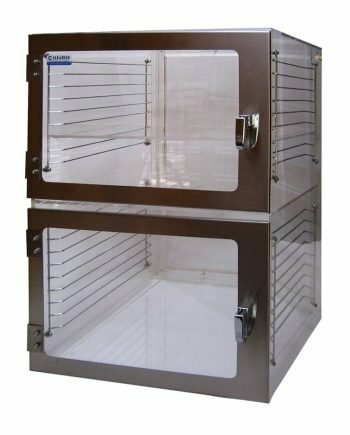 Our quality non-vacuum multi-chamber desiccator cabinets can be used with nitrogen, Argon and compressed dry air purging to reduce oxidation & extend shelf life on moisture sensitive components. 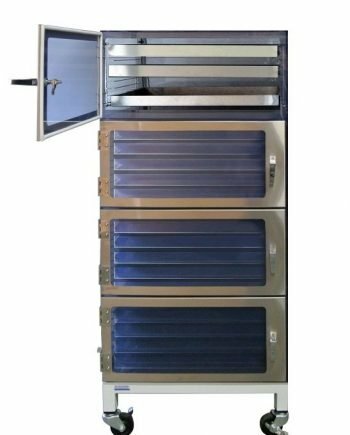 1500 Series Nitrogen Desiccator Cabinets feature general storage with shelves, drawers or combinations. They are available in various models and sizes from 12 in. x 16 in. x 12 in. to 53 in. x 29 in. x 64 in. from one to twelve chambers with one side or two-side access door configuration. They can also be customized as per specifications. 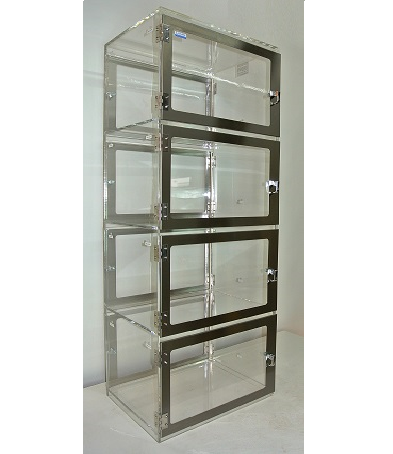 Standard Multi-chamber Desiccator Cabinets with chrome-plated racks which provides adjustable shelf placement. Shelves easily slide on wire racks to make more storage space . Select acrylic or dissipative PVC cabinets, one to ten chambers, manual or automated RH control. Static-control options protect sensitive materials against electrostatic, built-in grounding terminal provides additional ESD safety. 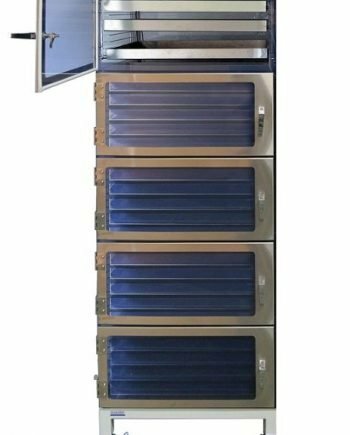 Wafer carrier storage desiccator cabinets or Wafer box desiccators provide high density storage of up to 12” diameter silicon wafers in standard wafer containers / carriers.We can also offer them in pass-through designs for dual-side access. 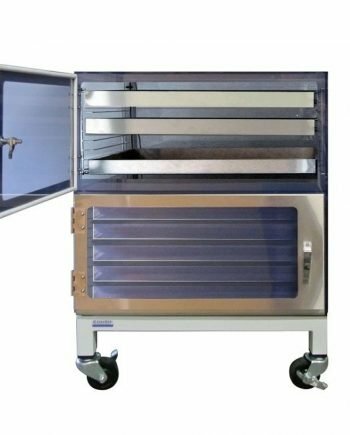 Designed for storage of 200 mm or 300 mm wafers in most standard cassettes and lot boxes. Humidity control system enhances desiccator efficiency and saves up to 70% of nitrogen costs and preserves moisture-sensitive wafers in a dry & particle-free environment. 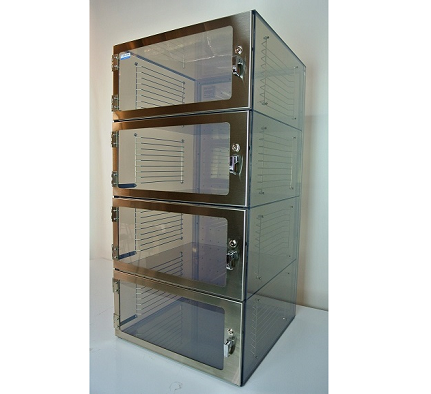 The pass-through desiccator cabinets can be installed within a cleanroom or inventory room wall, or can be positioned between two aisles in assembly rooms allowing access to stored materials from both sides. 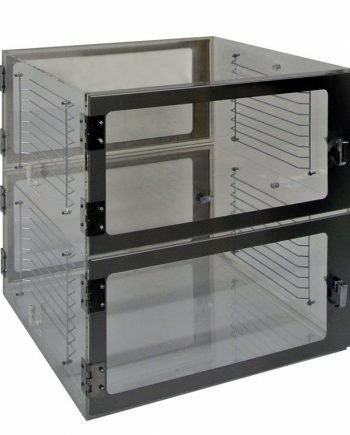 These dual sided low humidity storage cabinets provide the same controlled atmosphere as other 1500 series Desiccators and also available in electrostatic safe material. 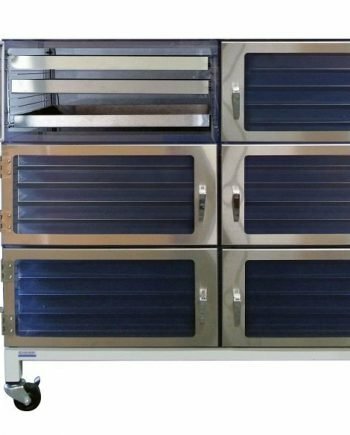 Sliding Drawer / Tray Desiccator Cabinets allow optimal organization in a low humidity, dry, ESD Safe environment. 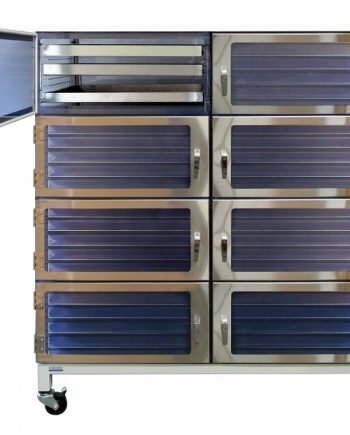 Low humidity storage system where parts can be organized and labeled. 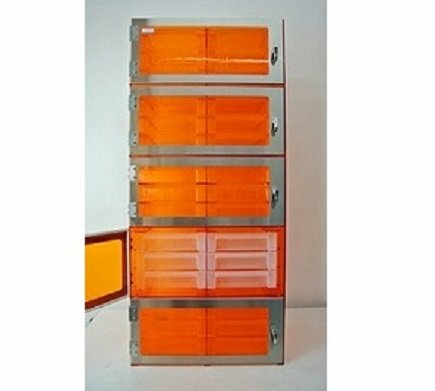 Nitrogen purge system extends the shelf lives of stored components as in other Cleatech desiccator cabinets. 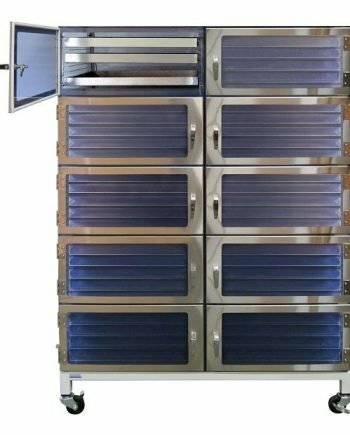 Accessories and options include automatic purge control unit, gas inlets, pressure bleeding valve, flow meter, plenum wall, stainless steel and plastic shelving, bottom stainless steel plate with grounding system, multi-position shelf rack, locking doors, powder coated & stainless steel stand with choice of caster or leveling mount. 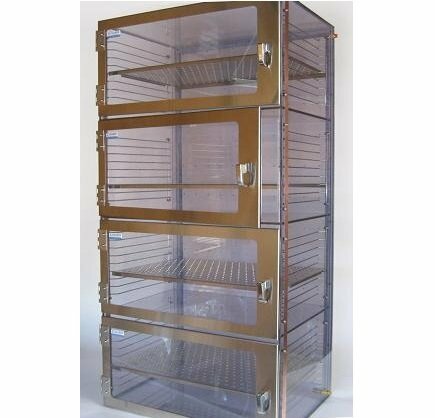 1500 Series Desiccator Cabinets comes in one door to ten-door configuration in different sizes and material. 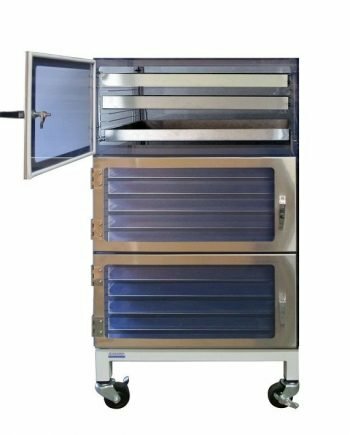 Cleatech can also provide custom solutions in size and design based on the lab and cleanroom requirements. Nitrogen “N2″ is served as an inert gas replacement for air where oxidation is undesirable. Nitrogen is the standard means for contamination free storage chambers. N2 does not react with stored materials and it can be isolated and purified relatively economically.